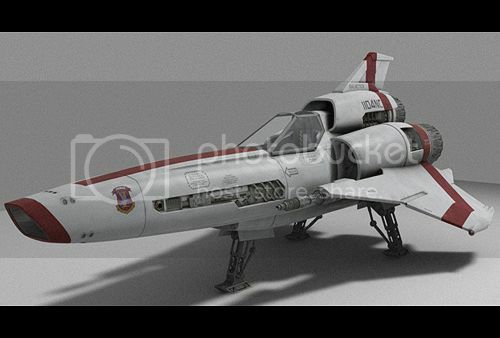 The Viper Mark I was developed by the federation parallel to the Viper Mark II. The Viper mark I was designed to supplement, and eventually completely replace the existing interceptor fleet. The Viper Mark I took the place as the main alert fighter for the federation fleet in early 2410 with Vipers being deployed to front line combat ships in the Cardassian war. Well the Viper Mark I lacks the smooth lines, and the advanced technology used in the Mark II, it was designed principally for speed, and ease of construction. The Viper Mark I still out paces any other interceptor to date produced by the federation. Production plans for the Viper I began as early as 2388. The Plans called for an intercept craft capable of short warp travel. 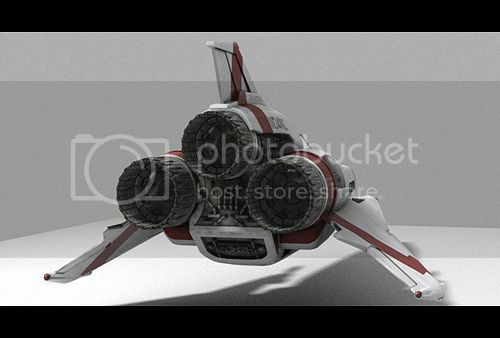 The interceptor would not need to be able to operate for long durations away from the base ship how ever it would need to be extremely maneuverable and well armed. The onset of the Borg war, and the "make do with what we have" policy delayed any serious research for years. December 2407: a clear threat emerges from the Cardassian factions with in the federation. Star fleet command orders the development of a new interceptor class craft. 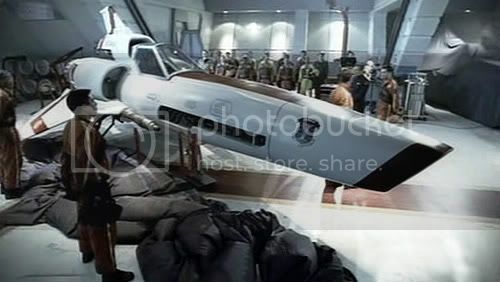 Existing designs for the Viper Mark I are brought out of moth balls. May: Rising political tensions and the seeming ease at which federation interceptors are destroyed prompts star fleet to speed up research. 10 test vehicles are constructed at Star Fleet R&D. June: Field Tests commence on the constructed fighters. 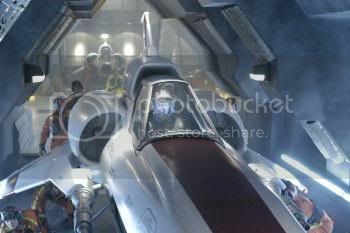 The Fighters are fitted with advanced sub light engine systems to optimize their role as interceptor craft, how ever the initial usage of a tylliam power core proved unfeasible and the decision was made to use standard matter/anti matter power systems. To compensate for the power loss, the fighters impulse engine is fitted with a Tritium fuel feed to increase top impulse cruise. July: Warp Field stability testing reviles a single concealed nacelle provides optimum performance. Design and specifications are reworked to accommodate the change. Currently, there are 12600 in service. The Federation successfully phased out older interceptor models in early 2411. The Viper Mark I is capable of operation in atmosphere, and vacuum.